The Mitsubishi CP700DU (CP-700DU) digital, roll-type dye sublimation color printer offers high speed and superior color resolution at a low operating cost. Low media cost combined with exceptional print capacity results in unmatched price and performance. 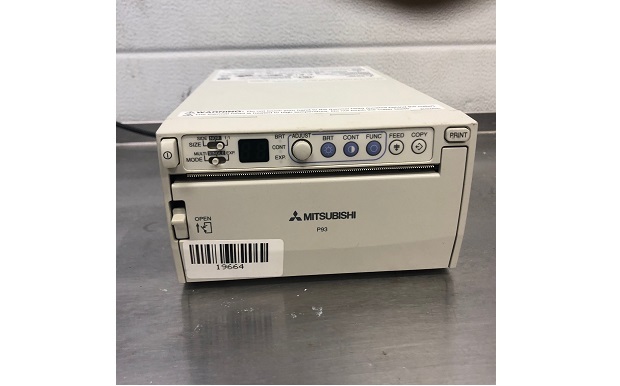 The Mitsubishi CP700DU (CP-700DU) digital printer comes with a Centronics Parallel Interface and a MS-Windows 95/98 driver (Macintosh chooser level driver is optional). It is an excellent choice for a variety of demanding, high resolution applications such as medical, digital photography, security, amusement, and industrial inspection. Thermal printer for industrial and medical diagnostic applications.